Right or Left Outside Defender. To bring home a state title and to complete the season injury free! All of our District games! We have the strongest district in the state and some big talent on these teams. Every district game will be intense and a step up in competition. I have three. Our Lady Raptor Regional Championship in 2014 that went into PK’s with Franklin. Lauren Cunninghan held her own aginast one of the best goalies in the country and we beat them! 2. Our Raptor Football State championship in 2015. After losing the heartbreak in 2014 it was an exciting event for the whole athletic program and school. 3. In March when I went with my Grandpa to the SEC Championship game. My Grandpa was was UK’s #1 fan and to see how happy he was during the game but with the whole event. I am still looking at several school. Looking for a school that fits an academic program and career that I am interested in but also has a competitive and enthusiatic athletic program. I do not plan on playing soccer after this year unless it is just for fun! I don’t have a favorite but admire most all professional athletes for their dedication to their devoted sports. After watching the olympics and seeing the lifelong commitment of these players you know it takes someone special to compete as such a high level. There have been so many influencial teachers in my life so far I could never narrow it down to just 1 or 2. Thoughout my time in WCS (Crockett, Woodland and RHS) there have been many teachers and administrators that have been such a postive influence in my life as well as so many others with the schools. I want to thank all those commited to being a teacher and for the guidence that is given to so many each day! There are so many people in my life that have had a special influence in my life but if I would like to mention my Grandfather in particular. He passed away unexpectingly this spring. His love for competition was far beyond that of most. He loved all sports and was a dedicated fan of UK basketball and golf which he excelled in both and continued to play golf until his last days. I do not have the compassion of competition that he did but he helped me appreciate the love of all sports! Knowing I can use my talelnts or my determination to accomplish something. Hard work does pay off! Overcoming injuries has been something I have had to deal with way too much. For the past 4 year I have had a season ending injury and I don’t plan on making it a 5th! 2 of the years it involved surgery (ACL, Meniscus and MCL then following year Meniscus). The work involved in going to PT and getting back into shape takes a lot of time and dedication. I am happy I was committed enough to come back both mentally and physically. My family is very important to me and provids me with the values I have. My family consists of my parents, Jim and Laura, sisters, Katie and Allie. We also have our beloved dog, Harper. My dad works for EY, loves sports and tries to find time to play golf. My mom volunteers for everything and stays active in RHS sports. My sister, Katie (Lady Raptors golf team for 4 years) graduated from Univeristy of Alabama this spring and is now attended grad school. 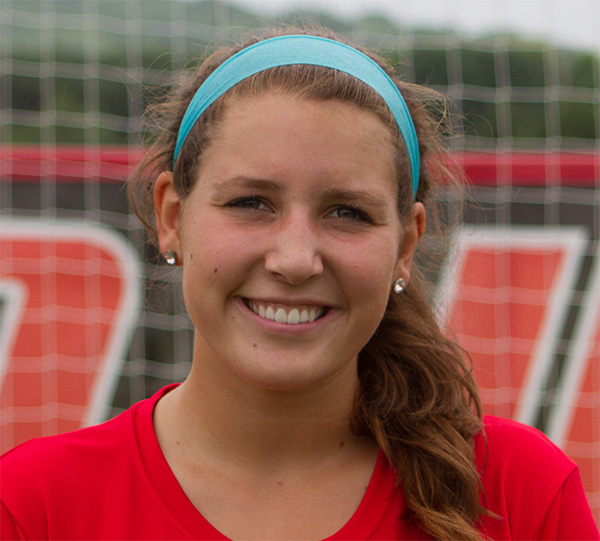 Allie is a former Lady Raptor soccer player and is a junior at University of Tennessee. Of course everyone loves to eat out in Brentwood but they also have great parks! My three favorite are: Tazikis, Any open basketball court and Smith Park. A typical day is very similar to most anyone playing a sport while in high school. Get up early, eat breakfast, go to school, practice or have a game, dinner, homework, more homework then bed. Hopefully in there sneak some play time with our dog, Harper. On the weekends and Friday night are the times we can be more flexible and enjoy friends, go to football games and relax. 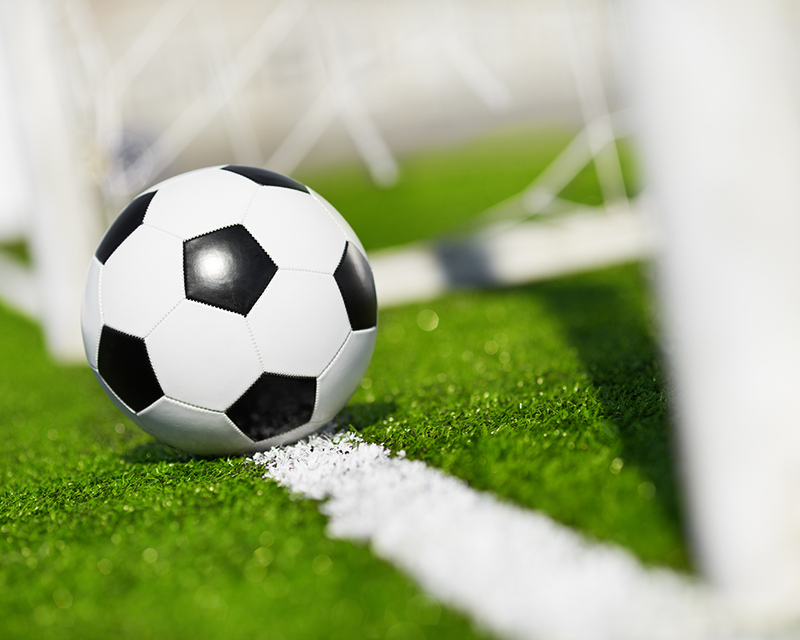 What kinds of activities do you do outside of Ravenwood Soccer? Church groups, mission trips, music, other sports, Etc. Outside of Ravenwood soccer I really enjoy hanging out with my friends and being lazy. We don’t have to go anywhere, just having the down time to hang out is the best. An occasional movie, out to dinner is great. I do attend Holy Family with my family and I assist there with the Graceworks program and more specifically the Under Wraps Blanket drive that is held each year. Tell us something funny about you? Embarrassing moment, etc.? I enjoy being funny and constantly embarrassing myself somehow. I get used to it so nothing really stands out anymore! DEDICATION! When playing any sport at this level you not only have to be dedicated but love what you do. So much of your time is devoted to making yourself as well as your team better you have to enjoy it! If I get too stressed, I get away from everything and usually go listen to music, watch a movie or hang out with my dog or all three at the same time! So many people deserve a shot out but I do want to recognize Raptor parent, Scott Hill. Mr. Hill (Coach Hill from years past) was my first soccer coach back in 2004 and had the patience with me when I would sit on my parents lap during our first couple of games. There was no way he was going to coax me over to the side of the field with the players. He continued to support me and by the 3rd games I decided that I could leave my family and get on the field. Since 2004, I have played several more years under his direction then played on a travel team with his daughter Savannah. The Hill’s became great family friends and supported me both on and off the field. Scott Hill is very active with the Soccer program (so far for 4 years but has 15 years to go with his youngest Emmy being only 3!) so we know the Raptor Soccer program is going to be stong for years to come! Thank you for your time and committment to our Soccer program! I am very blessed to have a wonderful support system in my life with not only my immediate family, but with friends, grandparents, aunts, uncles and many cousins. It helps keep me grounded knowing I have the love, well wishes and support of so many.